When Luke Perry's death was announced Monday, it was attributed to a massive stroke. Stroke is the fifth leading cause of death in the U.S., and can strike at any age. Here's what to know. (NEW YORK) — Luke Perry’s death at age 52 has sparked both an outpouring of grief from his co-stars and fans and questions surrounding the stroke that caused the 90210 and Riverdale star to die so young. Perry, a father of two, was placed under observation at a California hospital last week. When his death was announced Monday, it was attributed to a massive stroke. Stroke is the fifth leading cause of death in the United States, according to the U.S. Centers for Disease Control and Prevention (CDC). Thirty-four percent of people hospitalized for stroke in 2009, the most recent data available, were under age 65. A stroke is caused when a blood vessel in the brain bursts or when something blocks blood supply to part of the brain. There are two types of strokes, according to the CDC. In an ischemic stroke, the more common type, blood clots from the heart or other vessels block the blood vessels to the brain. A hemorrhagic stroke occurs when a blood vessel bursts in the brain. The most common cause of hemorrhagic stroke is high blood pressure. A transient ischemic attack (TIA), a mini-stroke, happens when the stroke symptoms last just for a few minutes and then go away. It is important to treat a TIA as a medical emergency as it could be followed by a major, debilitating stroke, according to the National Institutes of Health (NIH). If a patient is diagnosed with a TIA, they can receive the proper workup and be put on medications that will decrease their risk of having a stroke in the future. F.A.S.T. is the acronym to remember for stroke symptoms: Face drooping, arm weakness, speech difficulty and time to call 911, according to the American Stroke Association. The CDC also shares more details about five symptoms that could be signs of a stroke. You should call 911 right away if you or someone you know experiences symptoms of a stroke. Some of the risk factors for stroke include uncontrollable factors like age, race and family history. There are many risk factors though that are in each person’s control. Exercising regularly, not smoking, not drinking excessively, eating a healthy diet and having controlled diabetes, blood pressure and cholesterol levels each lower one’s risk of a stroke. Is a stroke always deadly? No, not all strokes are deadly. 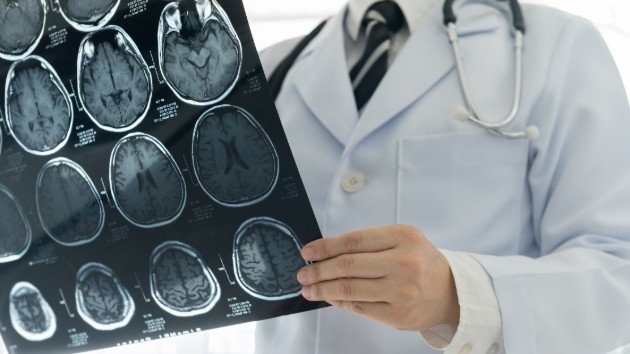 Surviving a stroke often depends on getting immediate medical treatment so it is important to recognize the symptoms of a stroke and get to the hospital within 60 minutes, according to the NIH. Strokes that are not deadly can cause complications like paralysis or weakness on one side of the body, pain, numbness, difficulty speaking, memory loss and difficulty swallowing. Medication and physical and occupational therapies are the most common treatments for victims of stroke.